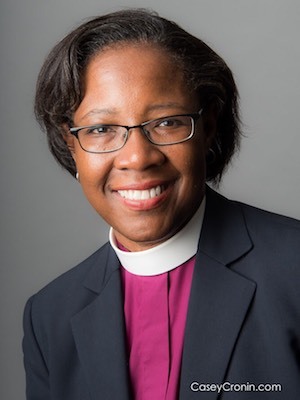 Bishop Jennifer Baskerville-Burrows (MDiv 1997), the first black woman to be elected diocesan bishop in the Episcopal Church, was CDSP’s director of alumni/ae and church relations from 2002-2004 before serving in the Dioceses of Central New York and Chicago. She had previously served in the Diocese of Newark. The scholarship in her honor will benefit black and Native American students at CDSP. Contribute to the scholarship fund using the form below.